As a Jamaican, it makes me proud to think that the world's first all-inclusive resort was actually built right here in Jamaica, in the late 1970s. All these years later, and Jamaica is still rated as having some of the best, most luxurious all-inclusive resorts that the world has ever seen. 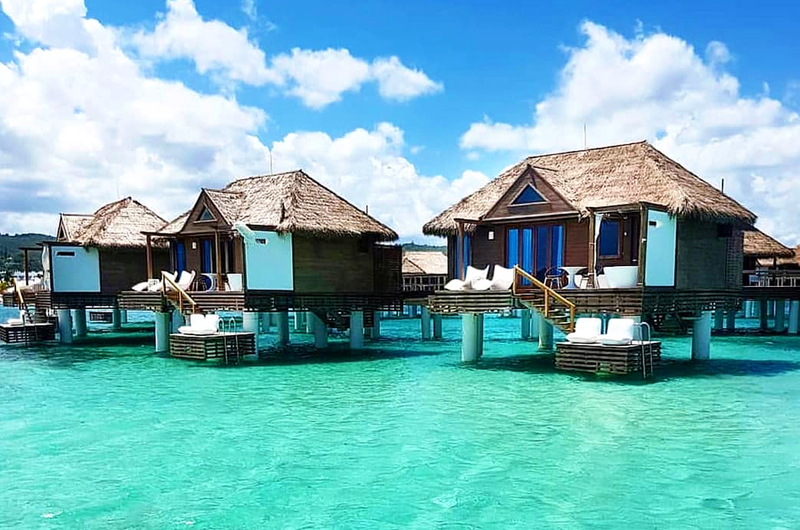 These all-inclusive resorts originally caught the attention of budget travelers, who wanted to make their dollar stretch. But as the all-inclusive model evolved, more luxurious resorts started entering the market, with all the amenities that would satisfy even the most finicky travelers. If you're looking for a blissful, relaxing vacation, that just can't be achieved with kids running around, you've come to the right place. 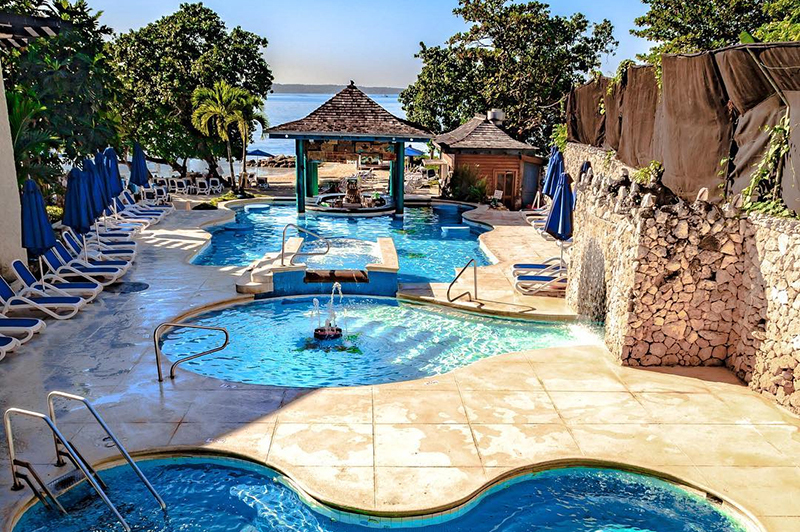 We've taken the very best of Jamaica's ‘child-free' resorts, and put together this exclusive list of Jamaica's 10 best adult only all-inclusive resorts. Blessed with white sand beaches that ring gentle turquoise coves alongside amazing villas, scenic balcony views, it’s no secret that Secret’s Wild Orchid is the place for love. In terms of activities and amenities for lovers Secret’s Wild Orchid is a league ahead of the competition. Once you arrive you’re greeted by warm, friendly staff members who then direct you to the resort’s divine accommodations. The resort is truly geared towards freeing you from anything that would get in the way of romance. You and your loved one can either lie together on the pristine beaches or spend the day relaxing at the full-service spa. When we say full service we mean everything from a relaxing massage to a mud treatment. Other exciting daytime activities for couples include scuba, snorkeling or couples windsurfing. 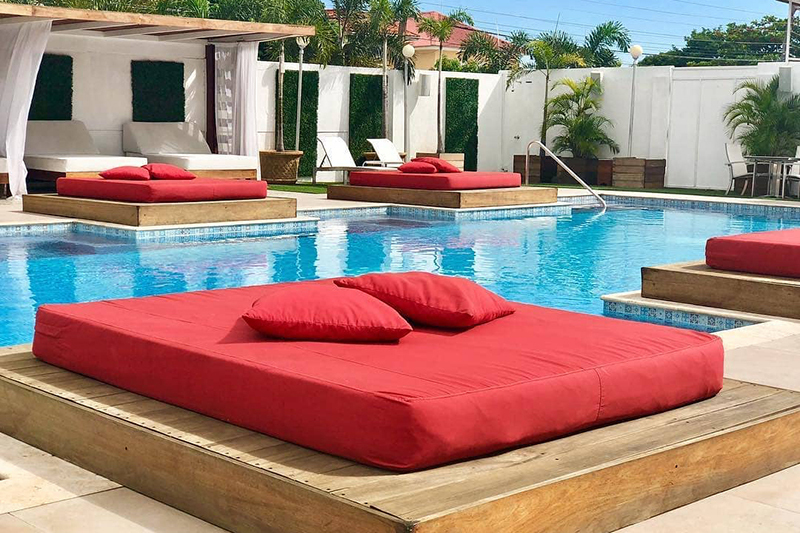 Hedonism II is one of Jamaica’s ideal spots for couples. It’s a nudist optional resort so we really don’t need to say more do we? 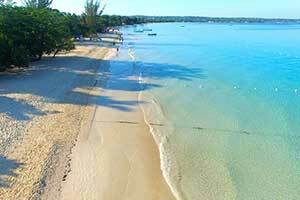 “Hedo” as it is known locally, sports one of the finest exclusive beach fronts on Negril’s famous Seven Mile Beach. The resort has all the accommodations and amenities that you’d expect from a four-star location. 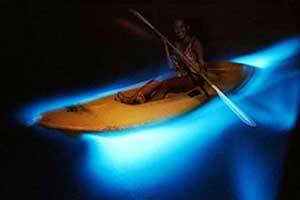 From snorkeling to glass-bottom boat rides and tours, but where it definitely distinguishes itself is in the nightlife. Hedonism has a number of fine-dining romantically themed bars and restaurants (we recommend the Piano Bar for a formal touch). “Disco” the resort's world famous club/bar is also a blast and a half and lounging lovers can wade up to any one of the three swim-up bars that allow you to enjoy the best of both worlds. Hedonism II lives up to its well-earned international reputation as the place to add some spice to your love life. It's a unique experience that will surely be a memorable one. The shining crown in the already treasured Rose Hall Great House region, near Montego Bay, on Jamaica’s north coast, is the exclusive Hyatt Zilara all-inclusive resort. The Hyatt is the top of the line when it comes to romantic luxury accommodations and engaging activities. It not only features views of the lovely Caribbean sea to the north but also has a few connected golf courses to add another element to a romantic getaway. You and your sweetheart can opt to spend your time lazing on the scenic windswept beaches or play a round of Golf, on a picturesque course, versus each other, for bragging rights. Another perhaps more intriguing option is to take a one-minute walk to visit the Rose Hall Great House, home of the famous ghost of Anne Palmer. Don’t be surprised if a good fright brings you closer together as a couple. The rooms feature jetted tubs and amazing balcony views. The resort is truly scenic and you’ll find yourselves melting into each other’s arms under a palm tree or warming each other against the cool night breeze. During the days you can do anything together from kayaking to sailing but at, night couples tend to find themselves in one of the nine luxurious restaurants serving an eclectic mix of Jamaican and continental cuisine. Whoever you love will fall in love with Hyatt Zilara; they aim to and succeed in pleasing even the most discerning guests. 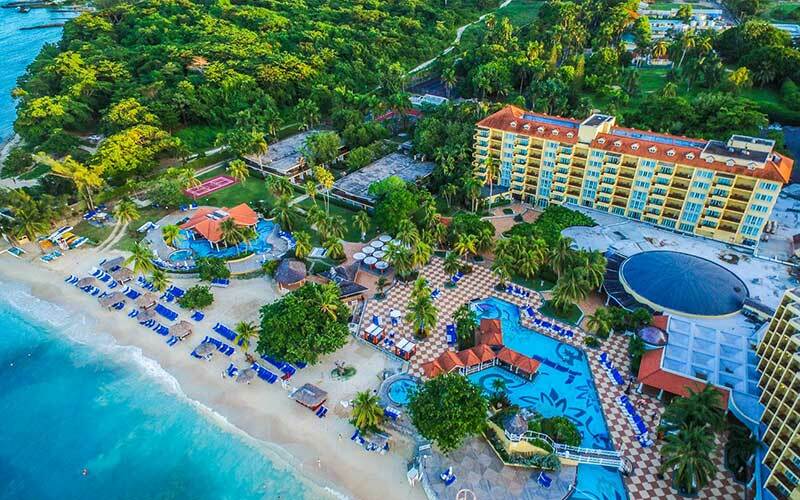 You will think you went to heaven on the idyllic white sand beach of Jamaica’s northern coast, staring out at the incredible aquamarine ocean from the world famous Iberostar Grand all-inclusive resort. 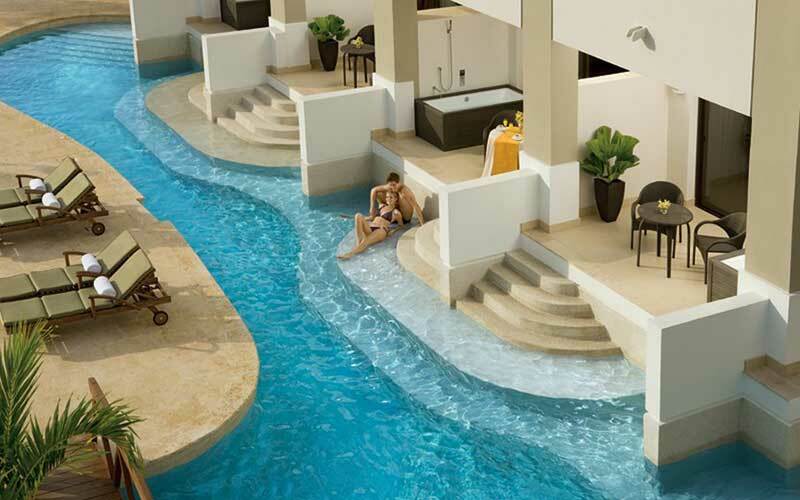 Iberostar also features refreshing pools and rooms with luxurious spa tubs. The members of staff at the resort are very helpful but understand the guest’s need for privacy so you will benefit from seamless service that allows for spontaneity and romance. 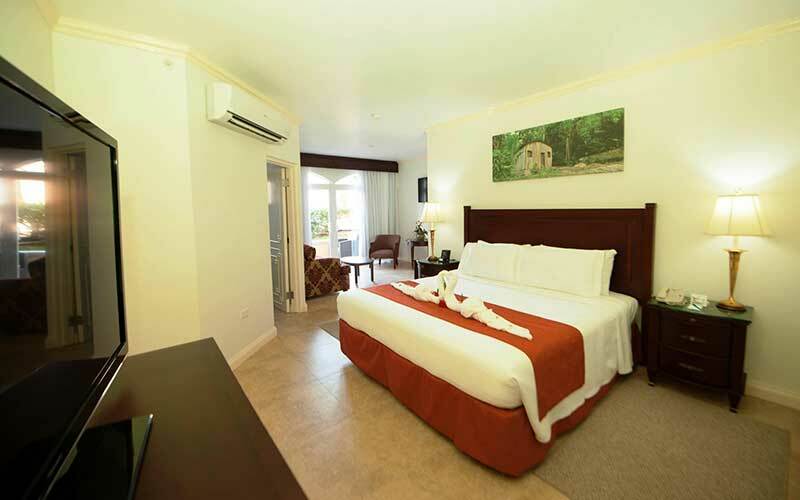 The rooms are large, inviting and furnished in style. Enjoy room service or dine at one of the many eclectic restaurants located all over the resort. 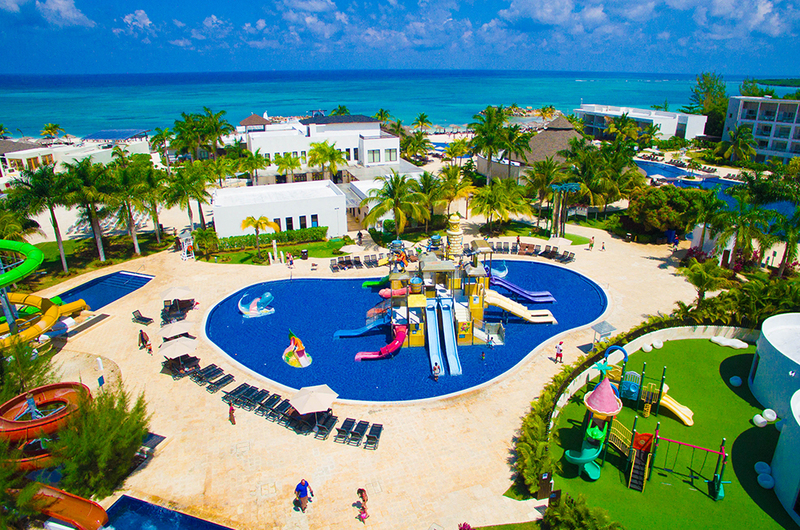 Iberostar has the advantage of and ideal tropical beach location and endless activities on and off the resort. You will be pampered and given your very heart’s desire at this resort. 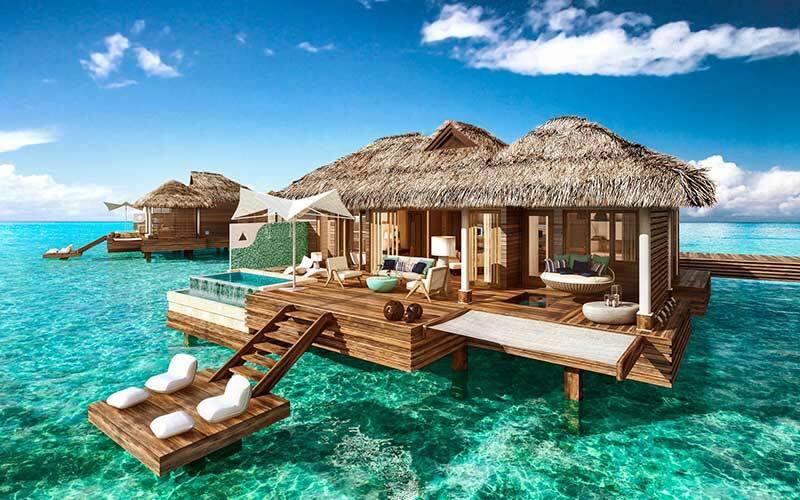 Nothing quite says romance like a night spent together in “Over The Water Villas” of Sandals Royal Caribbean. The first thing that stops your breath is the room itself. Sandals Royal Caribbean villas feature see-through glass bottomed floor panels which reveal a wonderful reef and several species of brightly colored fish. The furnishings and décor compliment the already enthralling room features. You won't regret the feel of Egyptian cotton sheets as you lay in the lap of luxury together. All the “Over The Water Villas” also feature private pools as well as luxurious private spa tubs. The atmosphere is practically brimming with passion and the mix of warm tropical days and cool moonlit nights creates an aura of pure romance. When you decide to take a break from isolated romance, visit the cozy beach bar or the main bar/lounge for some delightful tropical themed mixed drinks or any foreign or domestic brands you may desire. Rest assured the bars are both fully stocked and open until late. The combination of the overwhelming atmosphere, world-class amenities, and thrilling activities is truly awe-inspiring. You and your life partner will look back at your moments at Sandals Royal Caribbean with a growing fondness until your return. 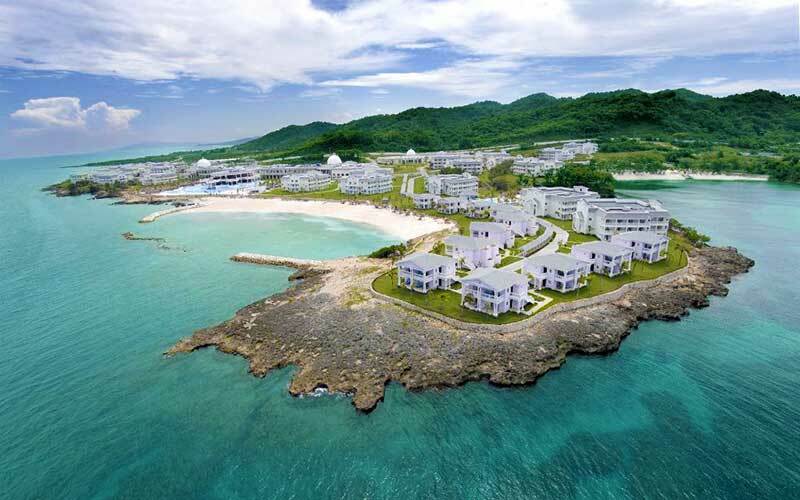 Just moments away from the iconic Tryall Golf Resort and just minutes from Montego Bay town center, the Grand Palladium Adult-Only All-Inclusive Resort is simply stunning. Supreme Greco-Roman architecture, large luxurious halls, and estate rooms are just some of the exciting features at the Grand Palladium in Lucea. 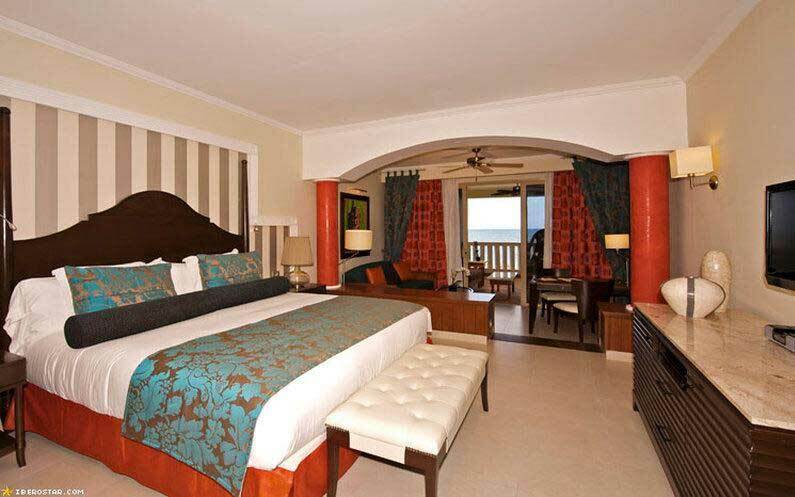 Not to mention the stunning beach scenes and luxurious rooms with jetted tubs and palatial sofa beds. The beach at Grand Palladium is unbelievably beautiful and the idyllic views from the lavish balconies include a small strip of lush tropical rainforest followed by the most inviting white sand and the deepest variations of blue in the surrounding waters. On the other end of the resort, your eyes will be delighted by the scenic golf course with its rolling greens and man-made lakes. The golfing here is world-class and the course is challenging enough but won’t embarrass you if you’re not a pro. 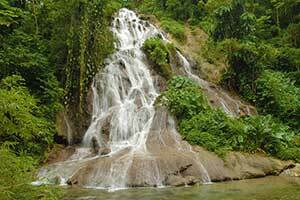 The Grand Palladium is just minutes away from the Martha Brae River, The Rose Hall Great House, The Montego Bay Waterpark as well as the Rockland Bird Sanctuary. Spend your nights at the luxurious lounge or at one of the quaint beachside bars. There are several cozy spots to enjoy the moonlight on or off the beach. 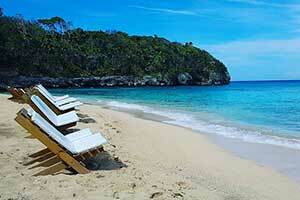 The Grand Palladium is as its name suggests, a grand experience. On a 35acre property, surrounded by lush green palm trees, on Jamaica’s iconic North Coast you’ll find one of Jamaica’s true Gems. The Couples San Souci Resort puts an accent on romance and offers amazing accommodations, world-class amenities along with several thrilling activities for two. 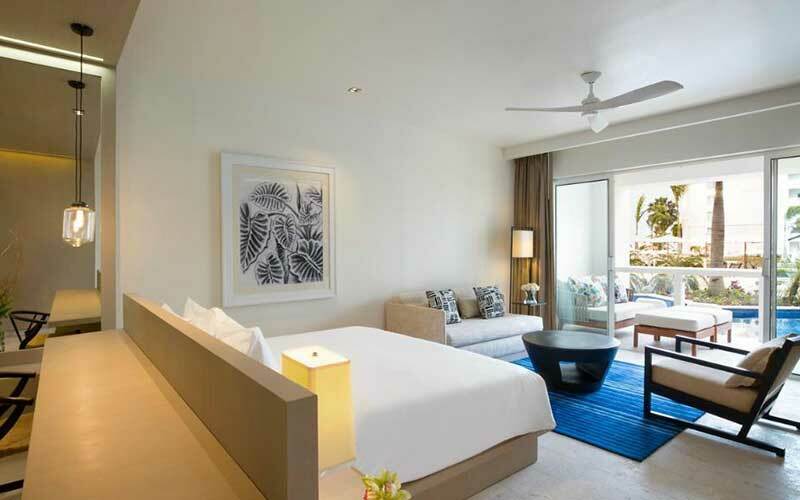 All of the 150 guest suites overlook the idyllic Caribbean Sea and are remarkably clean and fully equipped for your stay. The staff understands your need to escape and will facilitate any reasonable request. This resort features several luxurious swimming pools both large and small. The number of pools leads to an unheard of occurrence in a crowded resort- an empty pool. As a matter of fact, the size and layout of the resort will often give you the impression that you are the only ones there. This, of course, facilitates romance and a full, relaxed enjoyment of the facilities. The resort offers a real all-inclusive experience with an available fully equipped gym and spa with yoga and massage specialists to help put you in the mood. Enjoy a thrilling couples boat ride to a remote beach where you can explore the rainforest or snorkel together with only a guide to direct you. Go Kayaking for a more one on one active experience or lay together in one of the many relaxing hammocks strung up around the resort. The unique game rooms and dining halls are great for setting the night off but you have not lived until you have spent the night sipping away at delightful daiquiris, sangria or more serious liquor at any one of the iconic bars. As the name suggests all things at this resort are geared towards a private, romantic couples experience, the facilities are small but modern and numerous enough that the other guests never intrude upon you while you enjoy the resort. 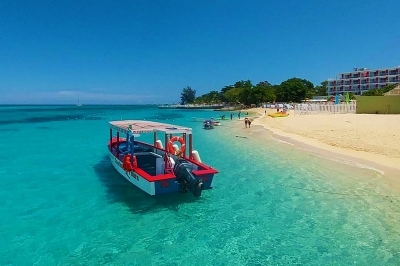 The Jewel Dunn’s River All-inclusive Resort, located on the incredible white sand beaches of Mammee Bay in St. Ann, is definitely one of Jamaica’s rare gems. 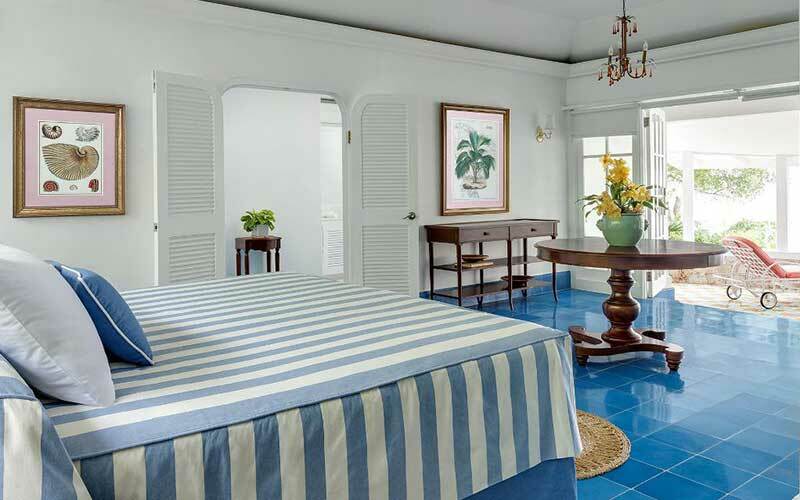 The décor and architecture of the resort is modern yet with an old-world, colonial charm. The rooms all feature plush bedding, luxurious furnishings, stunning balcony views and jetted tubs for relaxing. Jewel is just moments away from the world-famous Dunn’s River Falls, Mystic Mountain, and Margaritaville Ocho Rios and also offers a complimentary greens access at the nearby Runaway Bay Golf Club. Spend the day lounging in one of the several elaborate pools or romantic gazebos, do yoga or a fitness class or explore the iconic beaches and reefs of the surrounding area. For a special treat, there are weekly drive-in movies and dinner under the stars experiences. If you love someone, take them to Jewel Dunn’s River, the ambiance and general experience will help you both communicate your feelings clearly. If you want to share a moment in a serene gorgeous natural setting then there is no better place than Sunset at the Palms in Negril. The resort benefits from the stunning flora and fauna of Jamaica’s westernmost point and is built right in the midst of ten acres of the natural environment in a most discreet manner. 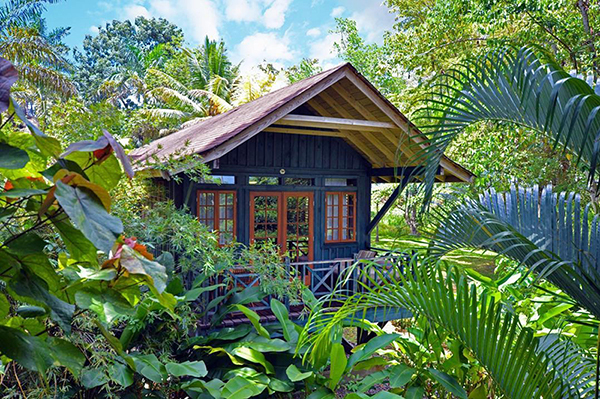 The accommodations are quaint Asian-styled tree house villas that are rustic in terms of outward décor but are modern when it comes to the facilities inside. 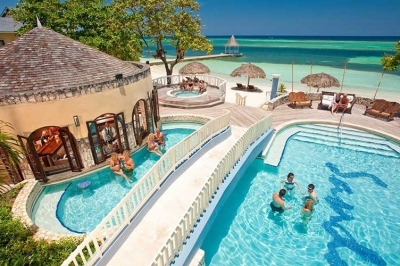 You get the best of Jamaica’s old-world feel but without the customary broken shower or faulty lighting issues. The warm and friendly staff members are willing and able and you are literally always just a request away from anything that you may need. Sunset at the Palms is famous for its creative swimming pool designs with various odd-shaped pools dotting the resort. The resort is ideally located on the cove at infamous Bloody Bay so if you can’t find a quiet pool then make for the Caribbean Sea. 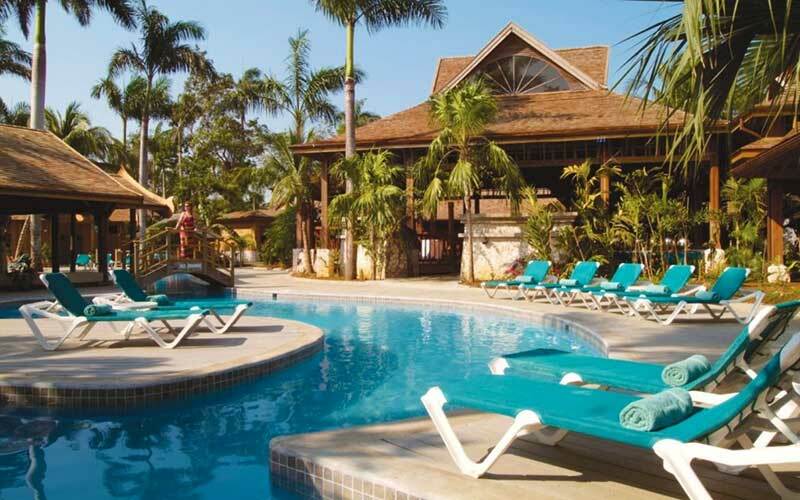 Nearby attractions include the iconic Negril Lighthouse and Half Moon Bay Resort. 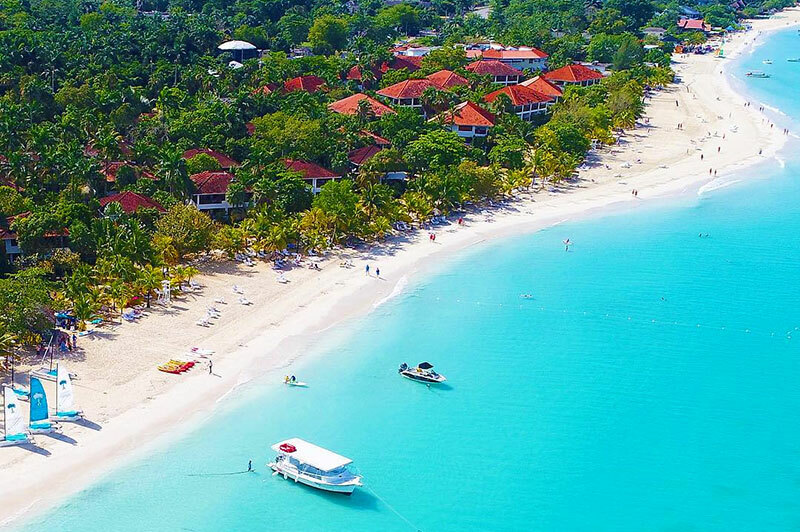 You don’t have to go much further to get to Negril’s world-renowned Seven Mile Beach. Sunset at the Palms Negril is truly a sight to behold and is the perfect place to celebrate an ongoing relationship. Jewel Paradise Cove is a truly spectacular way to spend a vacation. 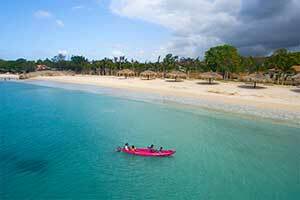 The lovely Runaway Bay Beach and the Runaway Bay Golf Club are both just steps away from this unique Jamaican resort. You won’t need to travel elsewhere much- this resort has it all. The stunning white sand beaches, vibrant reefs, and aquamarine waters are the perfect backdrop for Yoga and fitness classes, Hiking, Kayaking or Snorkeling. The emphasis is on fitness, health, and relaxation so guests are also invited to utilize the fully equipped Gym and Spa facilities. Spend your days lounging by the pool or on the white sand, getting fit in the gym or allowing the trained spa staff to lull you into a stress-free zone. If that’s not quite enough for you then top off the night with a delicious meal at the Golden Snake Asian Restaurant located on site. For a night of karaoke and drinking visit the notorious Hotel Bar or any of the cozy Poolside Bars. Jewel Paradise Cove is the place where strangers meet, fall in love and then return to again and again to replenish that love's energy. If you already have a soul mate you’ll find that you are both even more connected once you have experienced this slice of heaven together.